Let me answer that question, as I’m sure you are wondering why, in January 2014, I’m writing about my favourite music of 2012, over a year after everybody else. For one thing, I find it impossible to judge a year’s music before the year has ended. “Best albums of the year” lists being published in November is just plain silly. Secondly, when a year ends there is still a lot of its music that I haven’t heard. I’m never going to hear all a year’s music of course (I’m still finding my favourite albums of 1973) but waiting a year has meant several albums are in my 2012 list that I hadn’t heard a year ago. The lists below are in purely alphabetical order. This entry was posted in Eclectic Mainline, Reviews and tagged 2012, favourites, highlights, review on January 4, 2014 by Albert. You will also find the full programme on the BCB Listen Again service. Last.fm doesn’t seem to be going away, but neither does it seem particularly vital in 2014. But for what it’s worth, I’ve shared my my top 10 Last.fm artist for 2013 on Google+. This entry was posted in Eclectic Mainline, Playlists and tagged 2013, albert freeman, Eclectic Mainline, review on January 1, 2014 by Albert. This week’s programme was going to be full of festive cheer, what with it being on 25th December. But then when I started to plan next week’s look back at 2013 and I realised I had far too much good music from the past 12 months for one showt. So no Christmas tunes this week. Anyway, if you really want festive tunes, you could do no better than listen to Phil Cope’s Christmas mix, recorded live during the WIN Christmas special a couple of weeks ago. There is one song I would like to have played in this show, but not having a radio edit of it, I couldn’t. It’s GMF, by John Grant. One of the highlights of 2013 was seeing him have the gaul to sing this in a busy shopping centre when he did an instore performance at Jumbo Records. This entry was posted in Eclectic Mainline, Playlists and tagged 2013, albert freeman, Eclectic Mainline, playlist, review on December 25, 2013 by Albert. Sunday night saw the family outfit Kitty, Daisy and Lewis take to the stage at the Brudenell Social Club in Leeds in support of their long awaited new album â€“ Smoking In Heaven. Kitty, Daisy and Lewis sprang to fame a few years back with their endlessly danceable rockabilly album that sounded like it should have been recorded decades ago, and not by a trio of youngsters from London-town, and with the backing of Rob da Bankâ€™s Sunday Best label, won over the hearts of every retro-loving music fan in the land. The retro-image doesnâ€™t stop at slicked back hair and a love of banjos however â€“ the band release all their music on a variety of vinyl formats, and their new album is available in an old-style 78rpm 10â€ vinyl in a 1950â€™s hard-backed record album; itâ€™s the sort of dedication that makes me think none of them own iPods and must make all their calls on Bakelite phones. They were supported by guitar and double bass duo Spirit of John who came straight from the dampness of Rough Beats Festival to play an entertaining set of folk-rockabilly before the siblings took to the stage accompanied by their dad on guitar and mum on double bass. The problem I have with seeing bands who are touring with a new album is that I always end up mildly disappointed â€“ I basically wish to hear the last album and inevitably havenâ€™t listened enough to the new record to fully appreciate the set. I havenâ€™t heard an awful lot of Smoking in Heaven, but KDL managed to balance the new and old songs enough to keep me happy. Guest musician Tan-Tan of the Skalites joined the trio on stage to show a diversity of the band that was refreshing to see â€“ just when you think that all this band are capable of is quaint rockabilly, they whip out a splash of dancehall/ska that keeps you dancing. The highlight for me was new single â€˜Messin with my Lifeâ€™, which is unashamingly a summer pop song; yeh itâ€™s obvious, but Kitty, Daisy and Lewis do it so well that I donâ€™t mind at all. This entry was posted in Live Events, Live Music, Reviews and tagged Brudenel Social Club, Kitty Daisy & Lewis, Leeds, review, Spirit of John on June 15, 2011 by Katie. Now that the internet has rendered music from most of the world available in the time it tales Nick Clegg to renege on an election promise, it seems almost quaint to remember that the zeitgeist used to have a bike. The indefinable spirit of the age used to pop up all over the world and each musical advance was complete with a map reference. 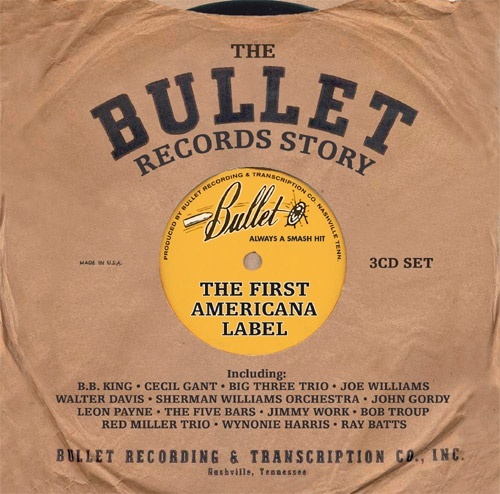 Whether it was Manchester in the late eighties, Berlin in the mid seventies or Liverpool in the early sixties geographical locations were synonymous with the music that was made there, and never was this more pronounced than in Nashville, Tennessee, which is indelibly linked in popular culture with country music. In contrast to the examples above, country music didn’t begin in Nashville, but it was here that the music that had originated in Appalachian bluegrass and hardened into the gritty honky tonk of Hank Williams and Lefty Frizzel had the beer stains hosed off it’s Stetson and cleaned up it’s act. In the process it became, and still is, the most successful genre of music in the world. This entry was posted in Reviews, When Big Joan Sets Up and tagged Bullet Records, compilation, review on April 12, 2011 by Phil. Until @localnatives said so at @cnstlltns I didn’t know Warning Sign was a Talking Heads cover. Their harmonies are spot on live. Sorry @loscampesinos but I couldn’t drag myself away from @lessavyfav at @cnstlltns but delighted u were allowed overtime so I cd see u too! This entry was posted in Live Events, Reviews and tagged constellations, Leeds, review on November 15, 2010 by Albert. If you can get over the unashamedly prosaic title of this newly released compilation by The Undertones, it’s a fine set of tunes. 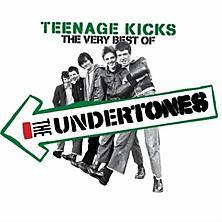 Â This is the third Undertones ‘Best Of’ compilation to have adopted the title of their debut single, and best known song, ‘Teenage Kicks’. Â The difference is…this time it’s The Very Best Of. Â I assume that’s because not only does it have 20 songs on, but also the videos to ‘Teenage Kicks’ and ‘My Perfect Cousin’, both of which feature some fine knitwear. This entry was posted in Eclectic Mainline, Reviews and tagged albert freeman, review, Teenage Kicks, The Undertones, Very Best Of on October 26, 2010 by Albert. This tour isn’t the first time Crystal Castles and HEALTH have been mentioned by me in the same breath, as I have played previous musical collaborations by them in my show. Â I had thus far failed to see HEALTH and having heard they were marvellous live, I was not disappointed. Â They were quite brilliant and I was left wondering whether Crystal Castles may have made an error by being supported by a band so good. 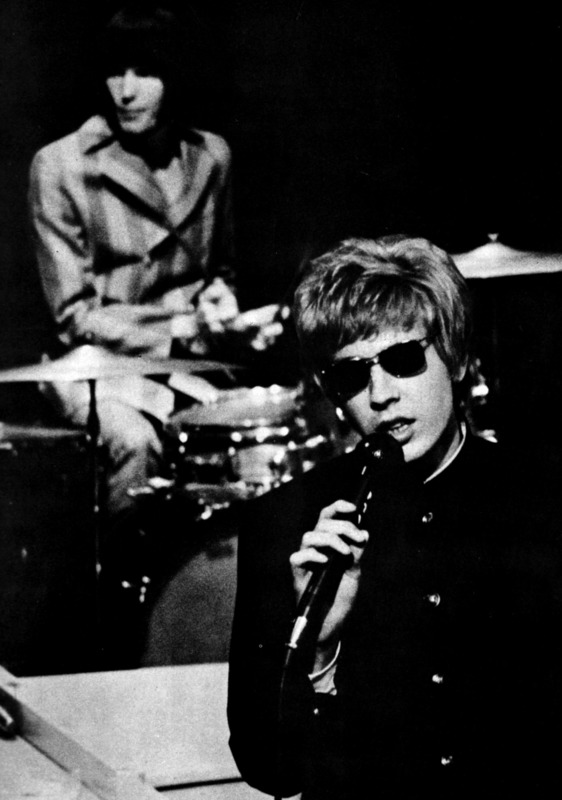 Â The charismatic bass player was centre stage, being as he wasÂ Â the most visually entertaining member of the band. Â I was actually surprised by how organic their line-up was. Â There was a fair amount of synthetic effects, but largely their sound was comprised of guitars, bass, drums, more drums, and vocals. Â Their whole set was an onslaught of confident, articulate, tightly knitted noise, and the highlights were Die Slow and USA Boys. The between-band downtime, prolonged due to the malfunction of either an XLR or a DI box on stage, wasn’t the usual painful wait, for me at least. Â The soundman had a penchant for Elliott Smith, so I got to hear all of Elliott Smith and half of Either Or during the wait. My paternal concerns about whether Crystal Castles may find themselves upstaged by HEALTH proved unnecessary. Â They started with (I assume) a couple of tunes from Crystal Castles (II) and the youth were going crazy, lapping it up. Â The sound was quite immense – deep, full-on electronics, piercing vocals and live drums. Â Couple their aural onslaught with the visual element of the live experience, and it was a performance I really could not find fault with. Â The heavy use of backlit strobes, against an otherwise mostly dark stage, with Alice Glass’s onstage athleticism, and they are quite a proposition. Â Quite a brilliant night. This entry was posted in Eclectic Mainline, Live Events, Reviews and tagged Crystal Castles, gig, HEALTH, Leeds, Live, review on October 24, 2010 by Albert.